I got a little carried away as usual and made waaaaaaay too many cards with these! I was just having too much fun. But that’s a good problem to have, right? So I thought I’d walk ya through my process! I started out by choosing the colors — that’s actually always the hardest part for me! For these I decided on lemon yellow, lavender, opera pink, vermillion orange (since I had it them on my desk for the Mondo gerbera daisies) and blue. These colors make me so happy! 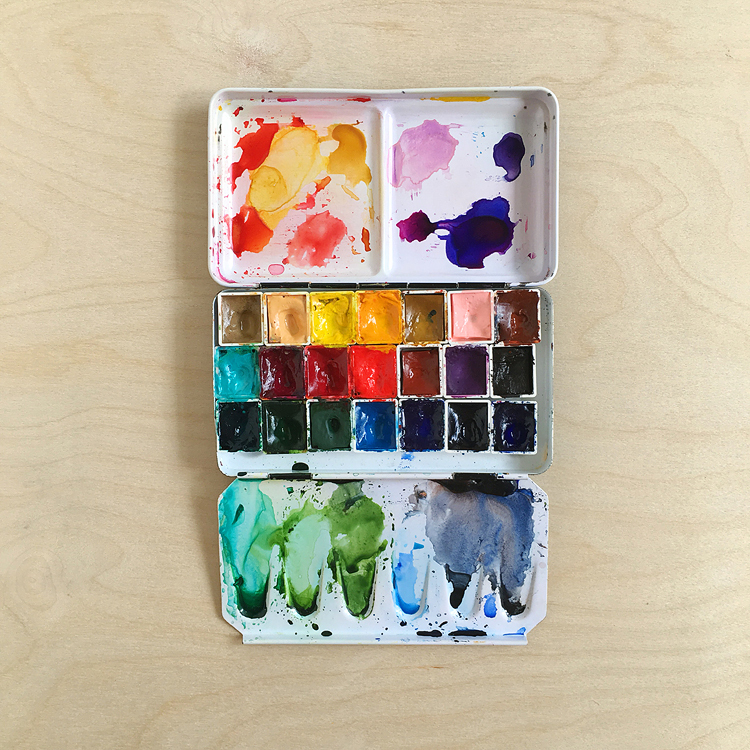 Then I sat down and made some backgrounds on good quality watercolor paper — love doing this part! I had a coupla requests on instagram for a video on how I make these — anyone else interested? Leave a comment and let me know! Then after the backgrounds were completely dry I put together my cards. 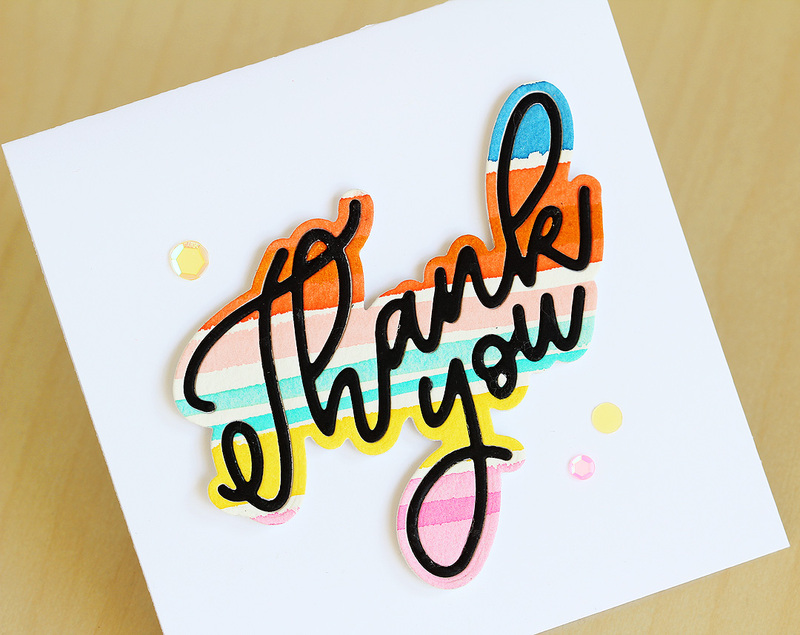 I wanted to really emphasize the outline die and the “thank you” for this first card! So I started off with a striped background and die cut the outline part. Then I die cut outline part outta that and saved all the pieces for my next card — you’ll find that below! I die cut another outline from black cardstock, added the words to it and then offset it from the background. Some foam tape and more of those new sequins — (love the flat ones!!) — and that was that! 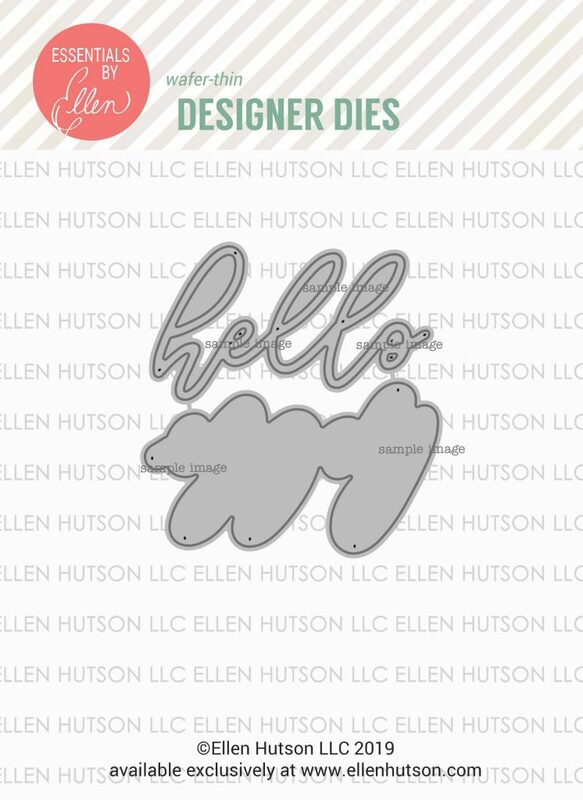 Here’s the card made from the outline background — it has a little inlay action going on! It was super easy to put together — I just cut another outline thank you out of white cardstock, put adhesive all over it, and popped the pieces in place. Then I added some more of those new sequins and that was that! Love making two cards at once like this! Now for the Big Scripty Hello! I made a bunch o’ cards with this one and saved my outline pieces, then cut 3 hellos out of black cardstock and put ’em all together. Doesn’t it look cool? Like a card you’d find at a fancy schmancy stationery shop! 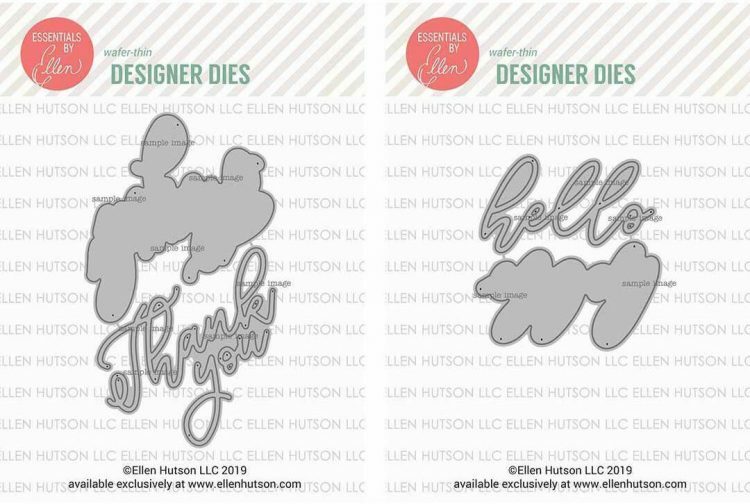 While I had these all out on my desk it hit me that you could combine the “you” from the Thank You die with the Hello! So of course I had to make MOAR cards!!! 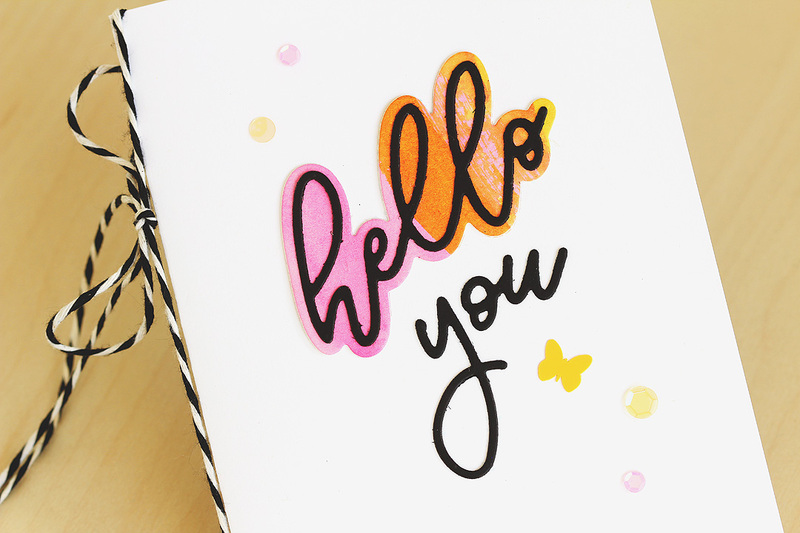 Had to add some of the new butterfly sequins — they just make the card! Oh and! 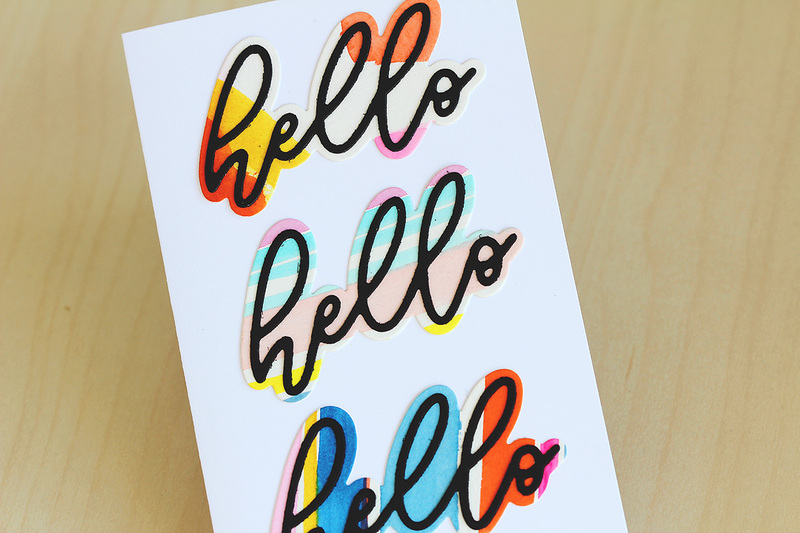 I used regular black cardstock on these cards, but while I was putting together the supply list for ya I stumbled on this glossy black — gotta get me some of that, I think it would look fab! Now how about a giveaway! I have an extra Big Scripty Hello up for grabs, yeah!!! To enter, just leave a comment on this post by Wednesday, February 13th and I’ll announce the lucky random winner on Valentine’s Day! Please note that the giveaway is open to US mailing addresses only — so sorry! Hope you all understand xoxo! This is the last of my release day posts — see the full release roundup post right here. 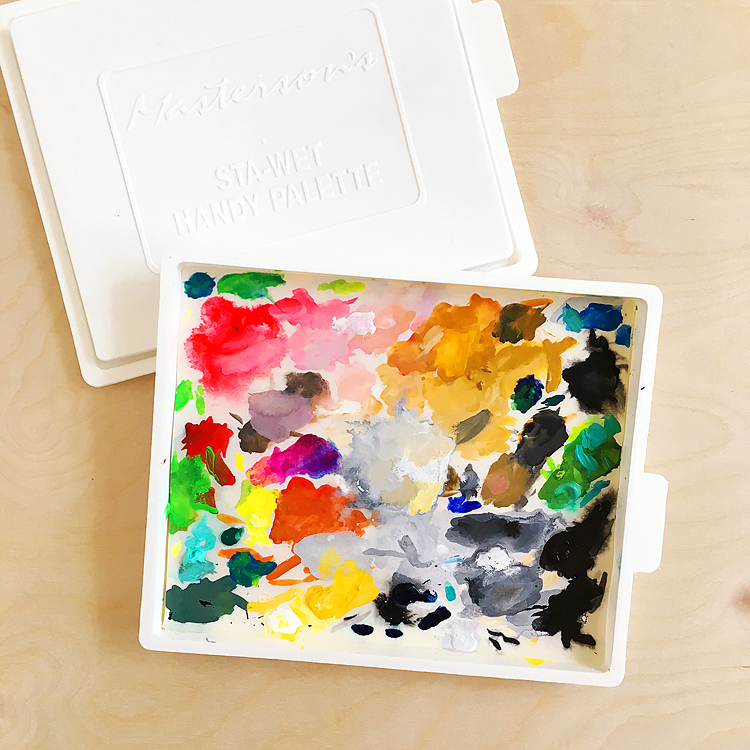 Here are the other posts — PS there’s one more giveway…! Part 5: Big Scripty plus another GIVEAWAY! <— you are here! Thanks so much for joining me and let me know if you have any Q’s! I love all of the cards. I love the bright colors and the butterfly sequins. Really fun! 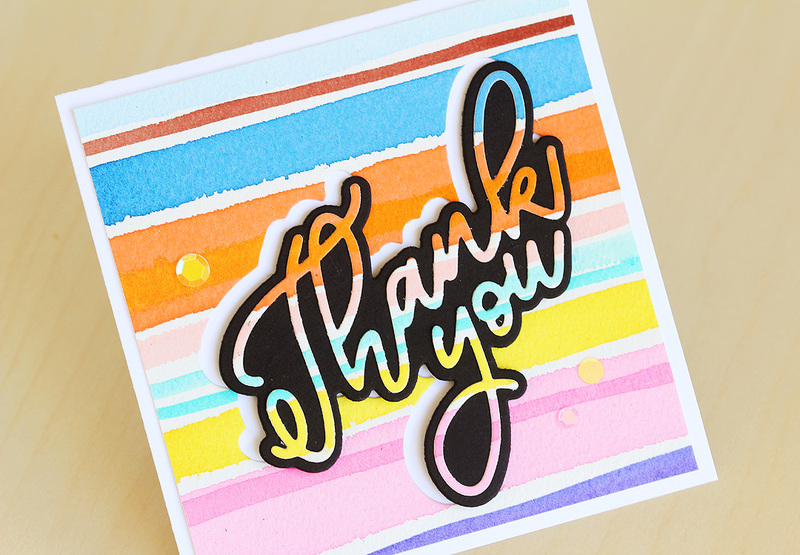 I haven’t thought of using dies this way – love the colorful background with the inset in black! That’s a fun way to use the dies. My favorite is the painted background you used the shadow die with! 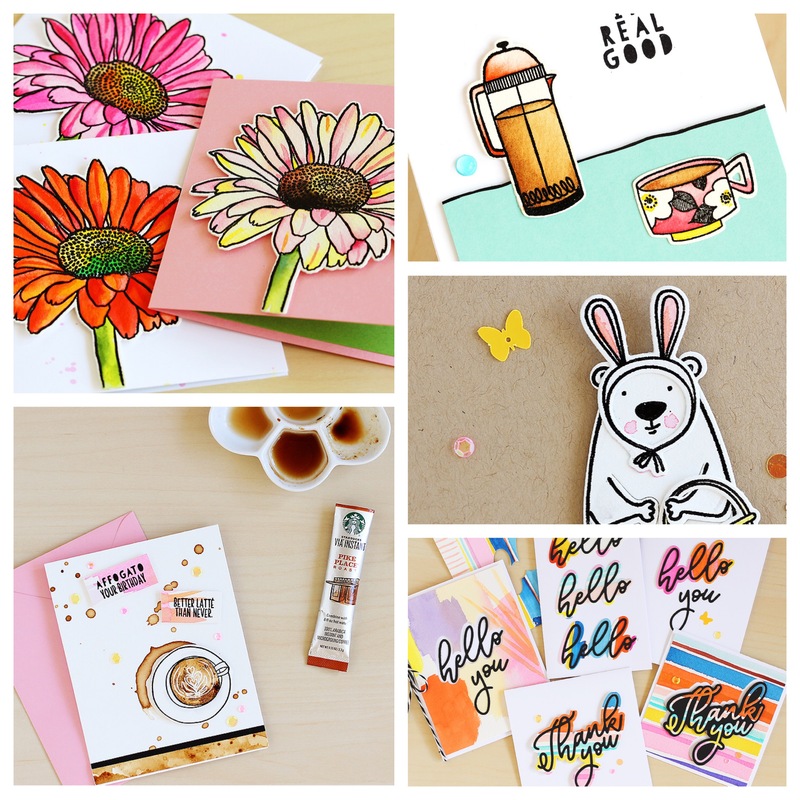 Cool colorful cards! Such awesome cards! I just love how the bold scripty words look with your painted papers. Anyone of these cards could be found in a smancy fancy stationary store, they are that great! These cards made me smile. I can see why you chose the color combination. 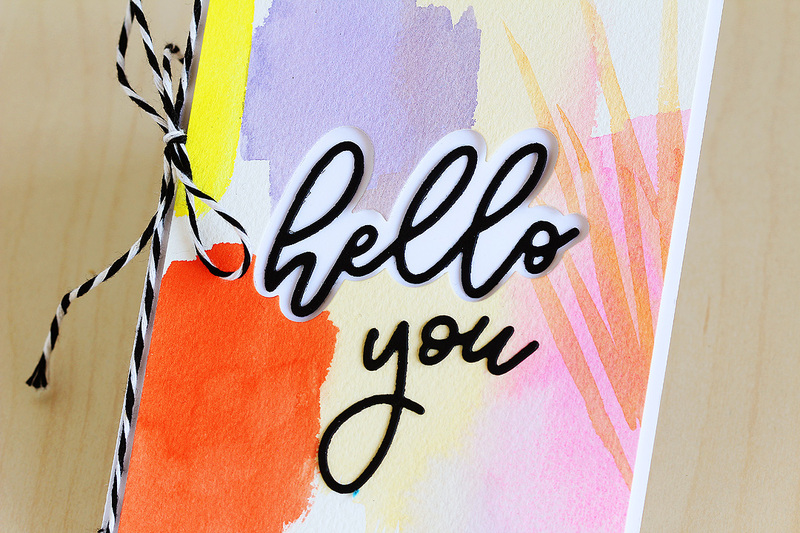 I love the ways you used the dies and made them the focal point of the cards. These would be fun to make in bunches and give as gifts or to just have in hand. Wow, so many ideas for using these word dies! Thanks for a chance to win one. Love how you used the dies. I have to go look at some of my large word dies now and see if I can do something similar. I can see using these for the men and boys in my family. As always I love your card-making style. Thanks for the inspiration!